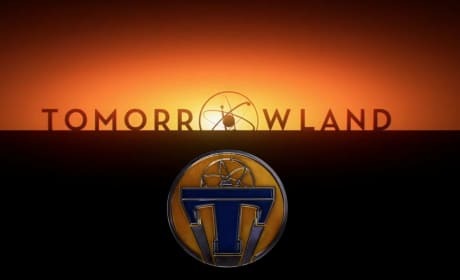 The banner for Tomorrowland. 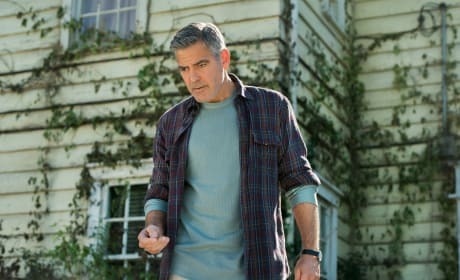 George Clooney stars in the Walt Disney movie. 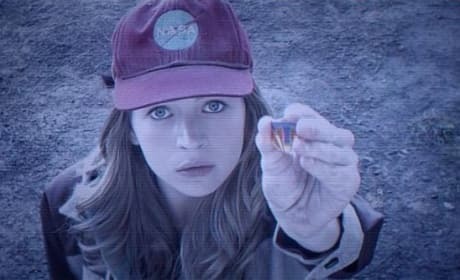 Britt Robertson stars in Tomorrowland. Robertson stars as Casey. A photo from Tomorrowland. 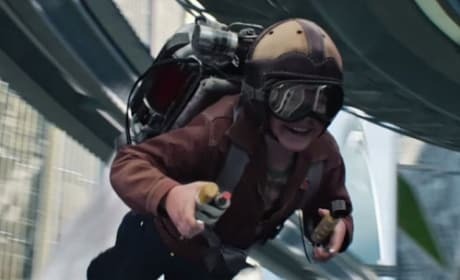 The jet pack is real in this still from Tomorrowland. 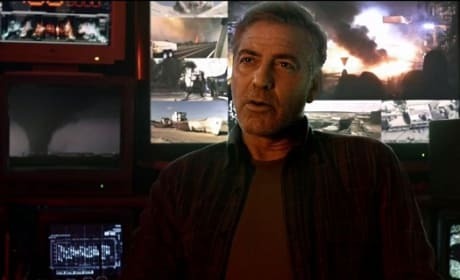 A still of George Clooney in Tomorrowland. The Disney movie lands in May. 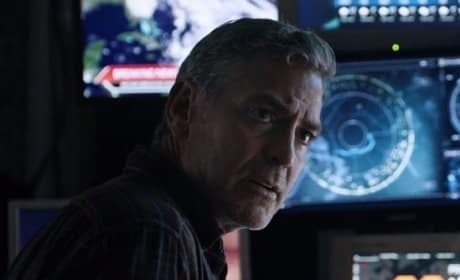 George Clooney stars in Tomorrowland. 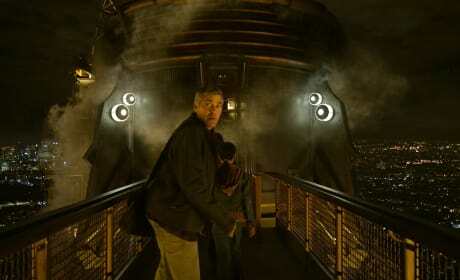 The Disney film is from Brad Bird and based on their park ride. 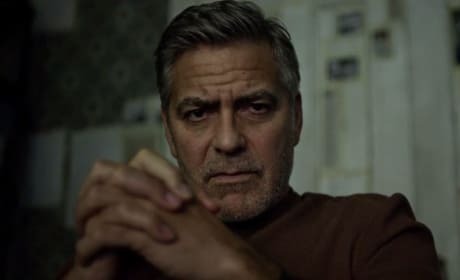 George Clooney stars in Tomorrowland. 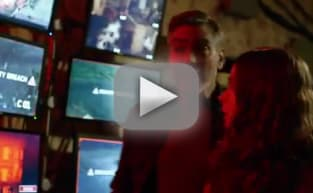 Clooney makes his debut in a Disney movie. The movie poster for Tomorrowland has arrived. 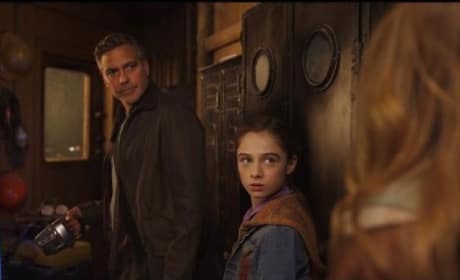 George Clooney stars in the Disney sci-fi adventure. 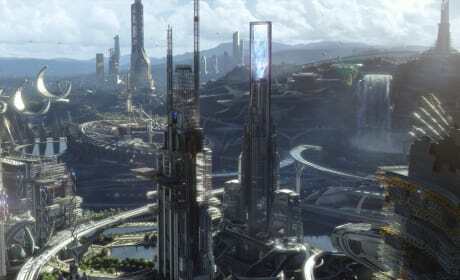 A still photo from Tomorrowland. 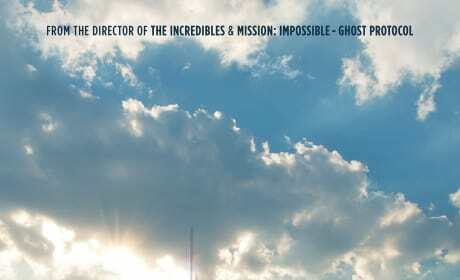 The Disney movie is from Brad Bird and stars George Clooney.